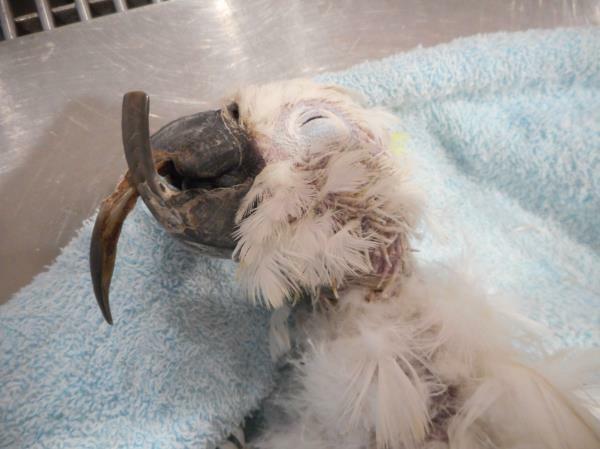 This little Moluccan Cockatoo is having his upper beak extended to correct the under bite. Avian vet Dr Phil is using a light curing Dental acrylic to repair the beak. 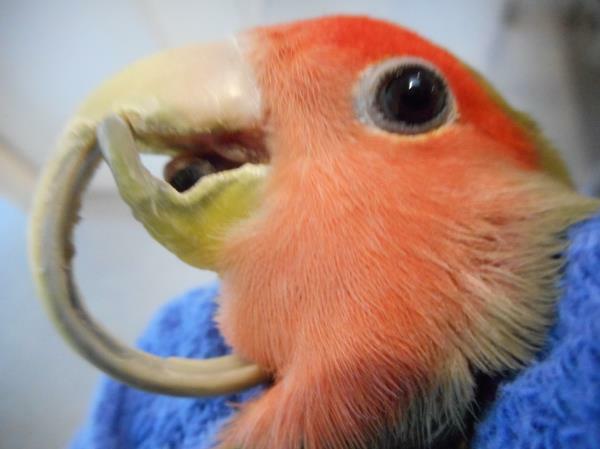 Bird vets repair damages beak routinely. The only specialist bird vet hospital in Melbourne with three avian veterinarians. The Melbourne based Specialist Bird Veterinary Hospital is located in south eastern suburbs of Melbourne treating birds from Caulfield, Ashwood, Mount Waverly, Seaford. We do Beak trims in pet birds including, Parrots, cockatoos , budgerigars, cockatiel, Chickens. this love bird had an overgrown upper beak - the Melbourne bird vets - used used clippers and dremmels to remove the excess beak and try and realign the beak. the result was excellent. If you need a bird veterinarian this Melbourne bird Vet facility is caring and empathetic. The bird vet hospital has equipment and facilities and incubators that are purpose made for the small bird pet patient. Budgerigars, and occasionally other bird species, can be infected by the burrowing mites (Knemidokoptes ssp. ), more commonly known as Scaly Face Mite. In budgies, mostly the head is affected (especially the beak, the cere, and the eyelids). Also the legs and feet can be affected and in really severe cases the area around the bird's vent will show signs of infestation. Birdvet Melbourne sells moxivet a topical medication to kill the mites and the moxidectin is applied 1 drop per 30grams, or 1 drop per budgie. The moxidectin and correcting the diet, and decreasing the birds stress is usually eliminates the mites. 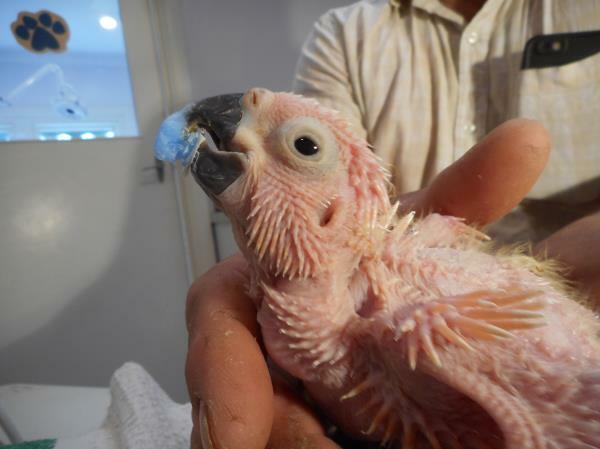 Beak abnormalities caused by Beak and feather disease in a wild free living Cockatoo presented to the the Wild life care Network. Diagnosed by Bird Vet Melbourne. Unfortunately this Ciro-viral infection was not a treatable condition.